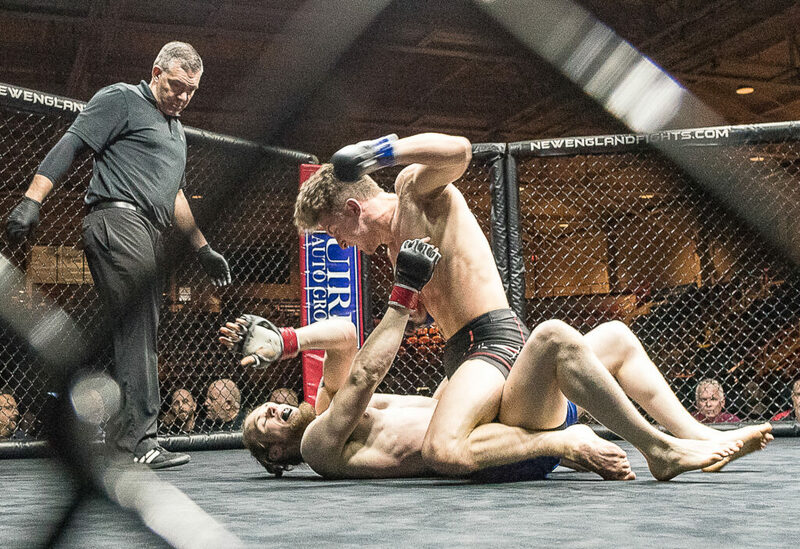 LEWISTON — New England Fights is returning to where it started. The mixed martial arts promotion announced Monday that it will return to the Androscoggin Bank Colisee on Saturday, June 22. It The event will be its first at the Colisee, where it held its first card in February 2012, in 17 months. DiSalvo started NEF with former Maine state legislator Matt Peterson of Rumford. NEF also announced the first fight for the NEF 39 card: Jesse “The Viking” Erickson (7-9) will take on Lewis Corapi (8-4) in a lightweight contest. Erickson made his amateur debut at NEF I at the Colisee. Corapi, of Massachusetts, is a New England MMA veteran but will be making his first appearance in an NEF cage. For more information and to keep up with the developing card and ticket sale announcements, check the New England Fights Facebook page. NEF’s next MMA event is NEF 38: Stormborn on Saturday, April 27 at Aura in Portland. Tickets are on sale at www.auramaine.com.